How often have you tried to quit smoking but repeatedly realized that you couldn’t live without the smell of tobacco? How often have you thought of eating different kinds of foods but were horrified about actually piling on the calories? How often do you remember with nostalgia the smell of your favorite childhood food which you can’t have now? How often do you think about the various fruits available in your home country which you can no longer have unless you get them explicitly imported? Well maybe that one is a bit of an exaggeration, but you get the idea. If you have found yourself in any of these scenarios, vaping might be a particularly appealing solution to you. This is because of the enormous variety of e-juices available these days. Flavours range from food-based tastes consisting of breakfast to dessert based e-juices, all-day e-juices, fruit-based e-juices, and tobacco flavoured e-juices. These different e-juices can be used with vape mods, e-cigarettes, and also with vape pens to get the feel of the different flavours in your mouth along with the smell. Food-based e-juices tend to be based on various meals of the day like breakfast, lunch, dinner, and desserts. For those with a particularly sweet tooth, candy-based e-juices are also available. These are particularly preferred by people who wish to relive their childhood while at the same time take a drag. For vapers who want to smell and taste of their favorite food, various food flavored e-juices like bacon, cereal, toast, milk, and pancakes are available on the market. These can give the taste of real food without the fattening side effects. 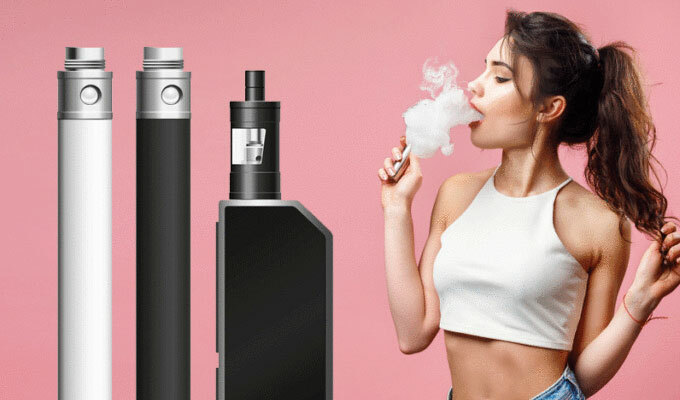 Apart from those, the dessert-based e-juices are available for people who wish to have a sweet during any part of the day or after every meal but cannot afford the extra time required to prepare the pudding and the incredible extra calories it offers. A wide variety of these e-juices are available which including but not limited to cookies, cakes, donuts, cream, cookies, chocolate, etc. These also are available in different proportions so that you can control the level of sweetness in the desert.